If you consider the start of the current tablet market to be 2010 when the iPad(s aapl) launched, it will have only taken five years for tablets to outsell traditional PCs. That’s the expectation from research firm Gartner, which published its latest computer sales forecast figures on Monday. We’ve already witnessed an overall decline in PC sales for the past 18 months but the growth rate for tablet sales is slowing as well. Put another way: Tablet sales are still on the rise, just not as quickly as they were in previous years. 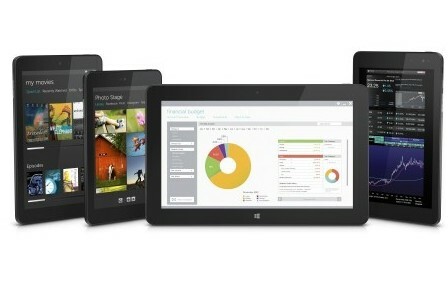 Gartner estimates 256 million tablets will be sold this year, which is 23.9 percent more than in 2013. By comparison, the firm says 120 million tablets were sold in 2012 and 206 million last year, which is a jump of nearly 72 percent. I am doing a little experimenting here, just trying to get a good format together for a new post I’ll be doing here on a regular basis (I hope). I thought I might start to do a regular reading progress type post, or something like that. It will probably be a weekly summary of what I’m reading and other book news ‘From My Armchair.’ There you go, that can be the title of the regular post. That is, book news from my own reading experience and exposure to books on a personal level, including updates from my personal library – that sort of thing. Now to work out just what I’ll include in the post – it could be something like a newsletter I suppose. So straight up, there can be this sort of preamble blurb thing going on. Just a bit of a ramble about book stuff from a personal perspective. Then I can put down a few sub-headings with some structured content, relevant information and comments. Sounds like a plan I think. It will probably take a couple of weeks to come together and look presentable, at least to me anyhow. So it will be a work in progress for a while. Something else I’m going to do is clear my reading list at Goodreads and have a new start there also. That way I can tie everything together and have a continuous and consistent story as far as my experience with books is concerned. That way, when I do this weekly post, ‘From My Armchair,’ I’ll be able to pass on a summary of my reading activity as recorded at Goodreads. Under this head I think I can provide a summary of what I’m involved in as far as social networks and web applications are concerned. I use quite a number of social networks, web applications and tools in the area of books and reading, with a variety of applications and functions. All useful in their own way I believe. I think they provide a good means to not only glean useful information, but to also maximise the benefits of my books and reading for a whole range of activities that I am involved in. I like to see my books not only as entertainment and an escape from the world for a while, but also as tools for accomplishing many things within the world. I currently use Goodreads as my social network for books/ebooks. I once also used Shelfari, being torn between the two, but now that Shelfari has closed the better of the two networks has continued as far as I am concerned. I am trying to use Goodreads as my online catalogue for books, so slowly I am adding them all to it. I also use a database on my own PC, which I am trying to sync with Goodreads, though I enter the information to both manually. It will take some time to get all of that done as I do have a large number of books. I like to read and prefer reading to television viewing. I don’t like to waste my time and prefer to use my time in worthwhile pursuits. I do watch a small amount of television, but that is usually to further my intellectual development, so I watch documentaries, news programs and the like. I do watch the occasional program to wind down from time to time, but prefer to watch a DVD for that purpose as most of the stuff on the Idiot Box is just a lot of rubbish lol. I usually have several books on the go at one time, but have found in recent years that I tend to not finish a lot of books also. That hasn’t always been the case, but it seems increasingly so now. I’ll be cutting down on the number of books I’m reading at any one time in the future, to try and ensure I finish what I start more often than not. I did have a few books underway and these were all listed at Goodreads, but I cleared these a little while ago and gave myself a fresh start. One book I completed recently was ‘The Hunt for Red October, by Tom Clancy. I read the Jack Ryan series of books by Clancy some time ago and recently decided I’d read them again. I also watched the film again to see how close to each other they were – there was quite a difference between the book and the film. I have a post about this which I’ll link to below.